In a world of affluent social rights campaigns and Facebook activism, it is easy to spin the wheels of change yet make no ground. It is easy to use trite slogans and awareness walks, preaching that we “reduce, reuse, and recycle” and demonstrate “No H8,” to shy from directly confronting the uncomfortable crux of a problem. It is easy with such activities to feel that one is no longer just a proponent of cause X and charity Y, but, rather, an active part in providing the social and economic support needed to get X or Y up and running. Sometimes, of course, this is much of what is needed: community awareness of one’s neighbors’ overwhelming switch to environmentally-friendly habits and support of gay rights can be just the thing to swing votes and actions in the direction of change. But sometimes it is not. Sometimes, the issue is considered so taboo or so antiquated that potential advocates can or will not admit to others or even themselves that there is a problem to be addressed. Racism – a fiend of the past, a crusade of our ancestors, a success won by the collective efforts of the oppressed and their allies – continues to wreak havoc but now fairly undetected, a virus mutated in form. Why, we may ask ourselves, should we do more than administer the same vaccines that have kept the illness quelled for the last few decades? Is it not enough to profess support of minority rights or, if the issue has been so well addressed, move on to more pressing matters? Contrary to popular belief, these placebic “crusaders of justice” are little more help than their apathetic counterparts. These well-intentioned doctors remain more or less oblivious to the symptoms afflicting a vital part of the communal body that will lead to the crippling of the whole. It is time we acknowledge the changes that are really needed: an overturn of the reincarnated racial caste system permeating our society. To believe even prior to reading this book that we have achieved a post-racial America would be a feat of ignorance and rationalization. It is not that we use race in describing an individual or even a community that makes the continued segregation evident, for to ignore obvious physical characteristics or societal trends would be to indulge in Alexander’s feared “colorblind” mindset (Alexander, pp. 240-244). It is the innocuous discrimination, a word loaded with an antiquated connotation of blatant prejudice that, once sought, quite evidently pervades, whether the “young black male criminal” stereotype is employed or not (197-200). Although fairly aware of the disparity between different racial communities before, I deigned call it “racism” but now find it, by its more appropriate definition, quite applicable. I can, like many, explain my oblivion by where I lived and the people with whom I am associated. As a student in a public school in Los Angeles, I bore witness to a small-scale sampling of the community-wide injustice. My white and Asian classmates held the majority of positions in an exclusive magnet within a large, poor school despite the Hispanic and black majorities and explicit equal opportunity. Superficially, it was true that we scored higher on standardized exams and took more challenging classes to merit our places, but to solely credit each magnet student with those achievements would be to ignore the greater picture. Obtaining those “free” positions required intensive parental assistance in the forms of tutoring, transportation, and application assistance. The students themselves needed a safe atmosphere in which to work, study guides to pass numerous exams, and, often, technology for assignments or tests. To declare these requirements feasible for parents and children who have difficulty enough obtaining food and shelter is obviously unrealistic, and, with no affirmative action with regards to program acceptance, a glaring example of the caging effect of “structural racism” (184). Pointing to the token minorities of the program and, conversely, the “white victims of racial caste” schooled in regular classrooms (204) only further aggravates the problem, lumping the well-off blacks and other minorities with their poorer counterparts where the two, in fact, have little in common (213). This difference in treatment was evident in many other forms: separation of Hispanics and blacks in The Projects and local neighborhoods while white and Asian students arrived at school through a bus system from wealthier neighborhoods (195), detention or expulsion programs for students who acted out or performed poorly rather than tutoring or counseling (215), and “legalized discrimination” in approaching students suspected of ditching class or being involved with drugs (191). Although this unfairness is appalling in retrospect, until just recently I fell victim to the excuses my peers and associates offered, excuses scarily similar to those enumerated in Alexander’s book. We were quite familiar with Bush’s No Child Left Behind initiative which, to many magnet students and faculty, seemed to be a program forcing the government to waste tax dollars on teens’ unwilling educations. Similarly, affirmative action was not seen as a plan for leveling the playing field but instead one of reverse discrimination, helping already well-off minority students receive easier entrance to the programs white and Asian students had a harder time winning. Despite the infamous drug use in the magnet program, we accepted that “ghetto” students were frequently the ones arrested on campus, believing the staff feared that high-achieving students would retaliate if their misconduct were to be reprimanded (123-125). It was convenient to think of ourselves as superior, where most of our productivity, achievements, and clean criminal records were, in fact, only possible due to our luck with economic class and race. Racism, therefore, is not only an adequate but an apt term for this evolving societal virus. 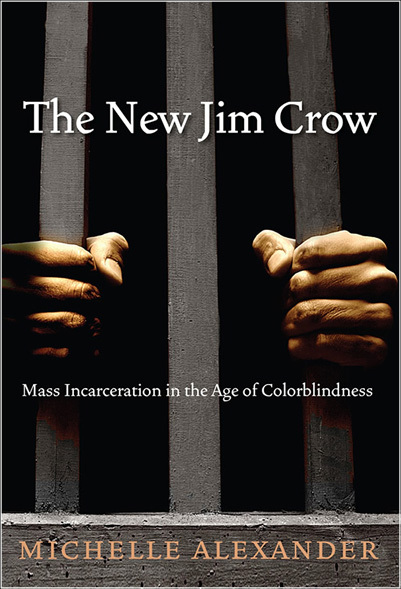 More subtle than its slavery and Jim Crow counterparts (181-183), the underlying theme of using race as an otherwise-unqualified deciding factor in treatment and perception remains constant (131). I notice with disgust that even I, verbally against racial profiling, find myself forming snap judgments and preconceptions quite irrelevant to the person at hand. Just as I hope others do not automatically pigeonhole me as a “type,” I only feel it just we try to extend further consciousness to our subconscious and strive to act against its ill-informed advice. So how can we divert the conversation about racism from its comfortable designation as a thing of the past to the uncomfortable but necessary one of the present? As “conductors” helped fleeing slaves and white allies helped their black counterparts, we must cooperate across demographic bounds to form a whole far stronger than the sum of its parts. We must embrace the discomfort rather than shy from it, appreciating the commonalities between ourselves and all others who understand the importance of the rights of the individuals for the wellbeing of the whole. We must create an atmosphere in which the stigma of recognizing our part – conscious and subconscious, active and passive alike – in the perpetuated racial order, for the first step to recovery, as the saying goes, is admitting you have a problem. We must be overt in admitting that racism is still an issue and make it clear that in saying so one is taking a step towards equality rather than a step back. A meaningful conversation can be had once we are willing to admit to ourselves that racism is not an issue for “them” – the people it hinders, the people of the past, the people in other states or regions or communities – but for us – the students who benefit from “white privilege,” who are afflicted with unintentional biases, who are in some ways responsible by not taking a part in ending it. The key to actualizing change is in our hands, so let us be brave enough to utilize it.